Blanchard Springs Caverns can hardly be described in words! You must visit the caves truly understand and appreciate their beauty. Entering the world of the underground is always a thrilling experience. 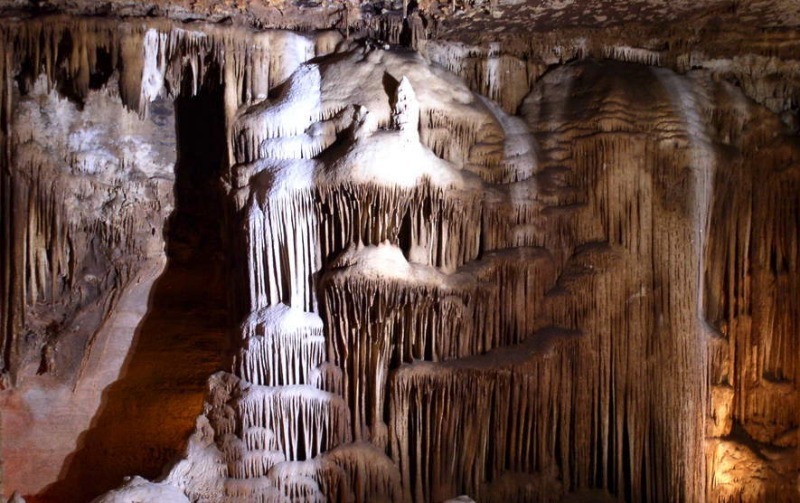 There are three different tours offered at the caverns; the Dripstone Trail, the Discovery Trail, the Discovery in the Dark Headlamp Tour and the caverns newest trail, the Wild Cave Tour. Led by knowledgeable Forest Service Guides, the tours wind through water-carved passages, including an underground river and the world’s largest flowstone. Each trail is a little different in intensity and visitors should be aware of each trail they decide to take.